Palms are relatively new to be used in gardens in Ireland. They bring a special feel to any garden. 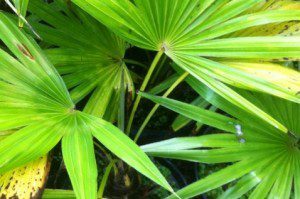 In basic terms they come in 2 distinct types, the fan palm and the feather palm. 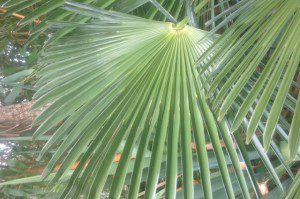 Nearly all of the palms that are commercially on offer for outdoor use come from Central and South America and South East Asia. This is an extremely rare feather palm with a green trunk from the Juan Fernandez Islands in the Pacific Ocean off the coast of Chile. It is dioecious (has male and female plants). In time (a long time!) it will form a trunk and make a wonderful plant to enjoy in any garden. Jubaea chilensis is a truly massive palm in maturity with the largest trunk in the Palm kingdom. The trunk is a sight to behold on mature specimens with the scars of previous leafs etched into its hard wood trunk. It can ultimately grow to a height of 30 metres in its native habitat. Trachycarpus martianus is one of the most attractive and exotic looking of the Trachycarpus genus. Its slender, bare trunk supports a full but open crown of elegantly arching, very regular and much segmented, large fan leaves. It is quite a fast grower and easy growing. Trachycarpus wagnerianus is a fan palm is quite similar in appearance to Trachycarpus fortunei, but has shorter, stiffer leaves that stand more erect and aren’t as deeply divided. It is more cold and wind tolerant. Trithrinax acanthocoma is a very attractive, medium sized, solitary palmate palm, with an unusual woven fibre wrapping the trunk, which includes the old spines.